Pittsburgh PA: View of Brady Stewart on one of his many photographic assignments as a City of Pittsburgh photographer - 1917. 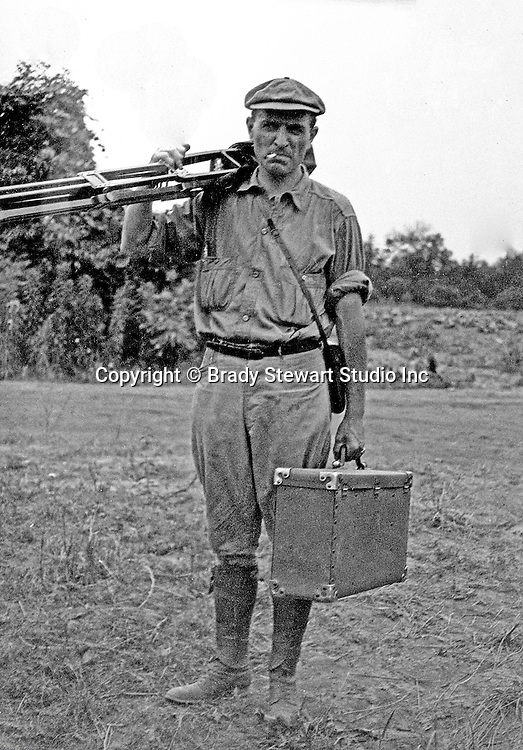 Brady Stewart was a City Photographer from 1912 to 1935. In conjunction with his duties for the city, he also had his own business, BS Stewart Studio, on the side to support his family. And based on the number of images in the City Photographer's section of the Pitt Archives and the Brady Stewart Archives, it could be argued that between being a city photographer and Brady Stewart Studio, he documented more of Western Pennsylvania history than any other photographer.